I'm happy to say I got back into my craft room again tonight after dinner and made another card. This card uses the inspiration photos at both Fusion and Shabby Tea Room as well as the sketch at Just Us Girls. I love the colors in the inspiration photo at Fusion so that was the starting point for this card. 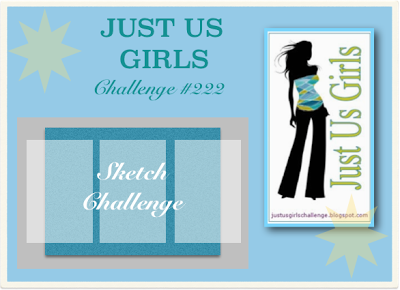 I then figured out how to incorporate the sketch from Just Us Girls, which I'd been pondering for days. 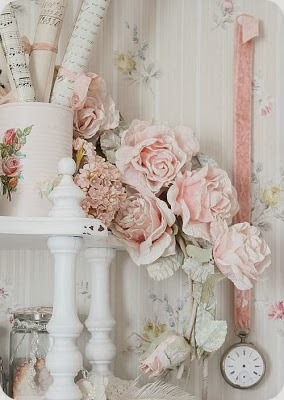 Finally, the Shabby Tea Room is looking for romantic cards incorporating roses. 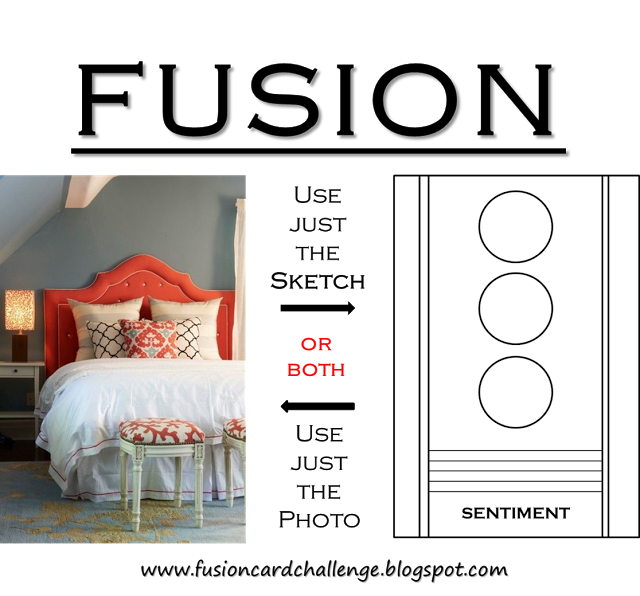 This might not be romantic but it does incorporate roses so I'll link up there too. I'm hoping to make a card using the Fusion sketch as well before the deadline. We'll see! This is so beautiful. Love the leaves stamped and the roses are "real"! Wow, so pretty. Thanks for joining us at FUSION & TSTR! Wow, Karren - this is GORGEOUS! 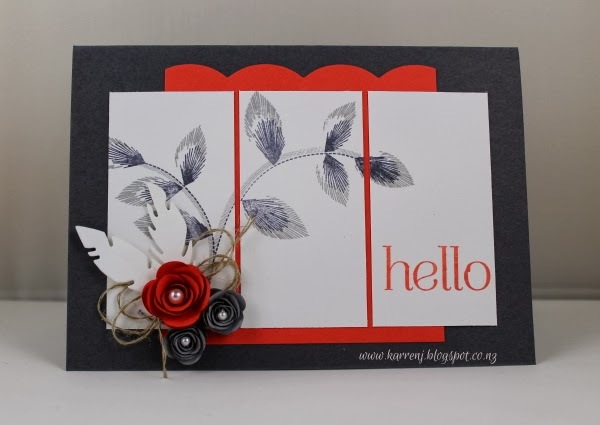 Love those stamped leaves, and the balance of colour on your card. Yes WOW says it all Karren. This card is sooooo stunning. I love every element....just perfect. Karren, this is beautiful! I love how you've worked the elements together in this card. The colours are fabulous, also! Thanks for joining us at Fusion! Oh this is lovely Karren! From the sweet little roses to the beautiful leafy stamp in the background - just gorgeous! Karen love the colors and those sweet flowers!!! Very very striking card...thanks for playing along with our sketch over at Just Us Girls. Such a beautiful card and lovely colors! Love those gorgeous leaves stretching across all three panels. Thanks for joining us at Just Us Girls! Oh, this is just lovely. Great job. This is BEYOND gorgeous and lovely!!!!! Thanks so much for joining us at FUSION, so glad you did, and hope you play again and again! This s gorgeous! Love the leafy branch across the panels. I think you nailed all three of the challenges in one. Thanks for playing with us at JUGS! So pretty! I love the white panel cut into 3 pieces and those gorgeous rolled flowers... the feathers look awesome! 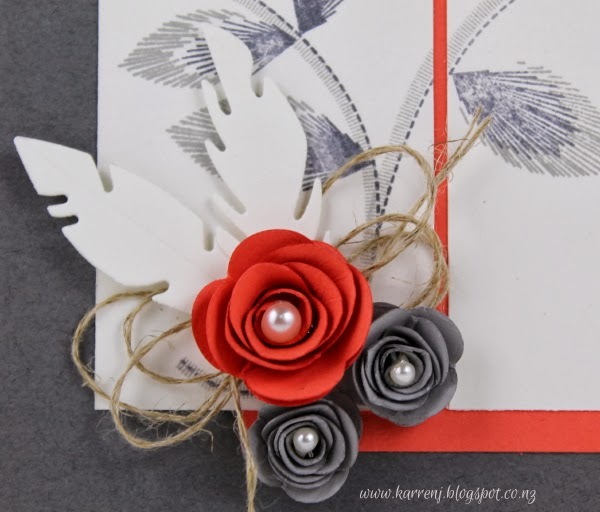 What a beautiful card design ... so glad you joined our very first Fusion Card Challenge of 2014. Such a gorgeous card! love the little roses you made! Thanks for playing along at fusion!